You want to be a happy and healthy mama. "I'm getting ready to create the ideal home for a baby!" "I want to cherish my body + Soul during this pregnancy." "Mom Life has me feeling sluggish. i want to get "me" back." 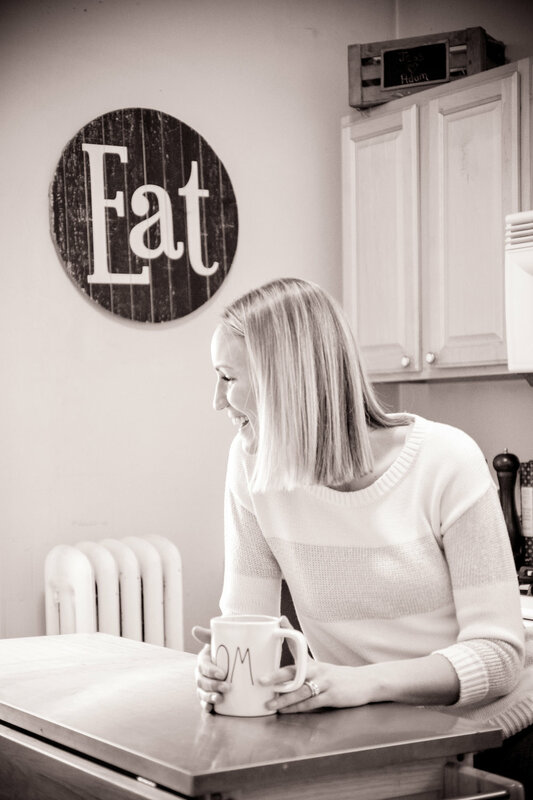 Drop your name + email to get the latest on healthy eating, self-care, & motherhood! Welcome! I'm Jessica and i am so grateful you've landed here during this special time. Motherhood can feel overwhelming at times, even scary as hell. You and I both know you want to do right not only by yourself, but by your baby too. It's not like you're eating a box of snickers or downing a bottle of wine every day, but you also know the way you're living isn't cutting it to feel like an energetic, soul-fueled and confident mama. Imagine setting forth the next level of health and lifestyle for you and your family by tapping into your body's wisdom, connecting to your natural ability to eat the best foods for your body, enhance your living space, and support a growing baby. Pre-pregnancy, the thought of being a mother seemed crazy abstract. There were so many "right ways to do things" that it became difficult to listen to my own natural instincts. When my husband and I decided to have a baby, it became my mission to turn my overwhelm into something new. I found - and continue to find - what makes my body tick through exploring different tastes, scents, holistic modalities, and environments. I certainly don’t eat “clean” all the time. After all, sharing a pizza with my husband after a long week is one of the great pleasures in my life! But when I fall off, I know how to get right back on. I know what nourishes me and I know what makes me feel amazing. I want you to feel that way too. Whether you have a deep desire to conceive, want to create a zen-like pregnancy for your baby, or are seeking support through postpartum, it's my absolute passion to help women like you create the ideal vessel and lifestyle that nurtures you both so you can be fully present as your spirited child grows. Grow confidence in your natural maternal instincts. Nourish your body with delicious foods that give you energy, instead of deplete it. You are in charge of your reality. Life can throw a million things your way, but when you're centered in your body and take control of your life, you're already ahead of the game. I believe eating is self love and what you put in your body says so much about the way you think and feel about yourself and what you deserve. You know this already, so with your permission, I'll equip you with my best tips, tricks, and expertise to enter this next chapter today!